My prayers go out for those affected. 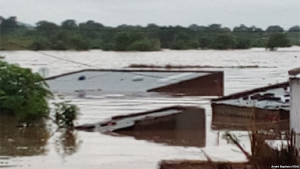 While we in the Continuing Church of God have many congregants in Mozambique (and I have personally met with a couple of the CCOG leaders from there) and even more in Malawi, we have not received any reports of loss of life. This storm, however, did also affect property in Malawi and we sent funds for some rebuilding there earlier today. Unprecedented and odd weather problems should serve as a wake-up call. Weather problems can hit close to anyone’s home. This entry was posted on Monday, March 18th, 2019 at 6:14 pm	and is filed under Prophecy.